This elegant scene of the New Bailey Bridge spanning the River Irwell might easily be missed by the casual reader, for it can be seen only by carefully fanning out the pages of the book. 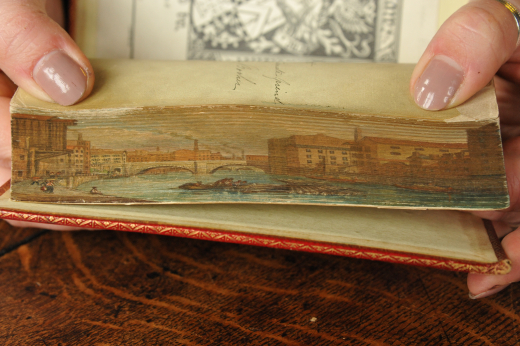 The image is an example of fore-edge painting, which has been created by fanning the pages and holding them in a vice while the minute watercolour scene is applied to the edges. 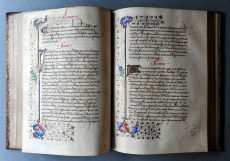 Once dry, the book is released from the vice and the pages are then gilded to obscure the painting. 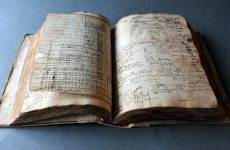 Although there are early examples of fore-edge paintings dating to the Middle Ages, the disappearing fore-edge began to appear in the seventeenth century, and continued to be a popular form of decoration until the early twentieth century. It is a precise and difficult art which can easily be ruined if the paint is too wet or too dry, causing cockling or flaking. 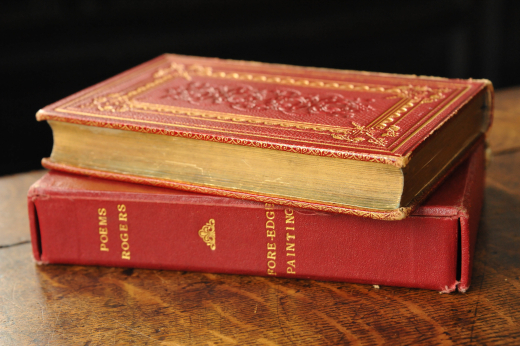 With care, it is possible to create a double fore-edge painting by fanning the leaves in the opposite direction, and a third image can even be produced by applying further decoration to the flat edges in place of gilt. It is not known who created this tiny hidden masterpiece or when it was painted, but it seems likely that it may have been an amateur artist working shortly after the publication of the work. The local aspect makes it a most unusual piece, common themes for this sort of painting generally being religious scenes, portraits, or elegant cities such as Venice or Edinburgh.